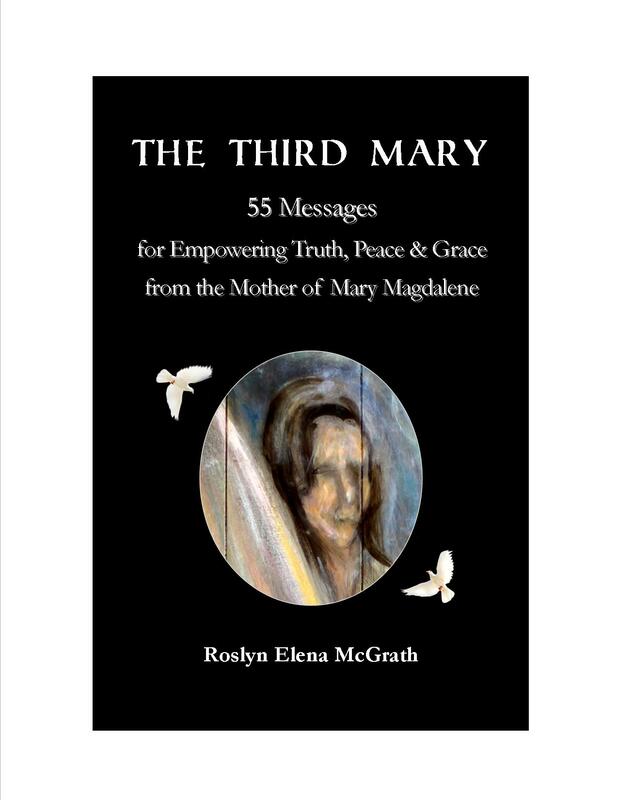 Today I’ve invited Roslyn McGrath, author of The Third Mary, to be my guest to discuss her book with her. I think this book will interest readers of my Arthurian and Gothic blog posts because of how it reimagines or rewrites (or perhaps more accurately tells the true version) of the gospel stories, which themselves influence Arthurian and Gothic literature, besides the fact that Christianity has influenced all of Western culture and literature for the last two centuries. Roslyn is an intuitive, artist, healer and workshop facilitator living in Marquette, Michigan. She is the author and illustrator of Creative Wisdom Cards for Personal Growth, the creator and narrator of Creative Wisdom Meditations and meditation CD A New Radiance: Chakra Blessings from the Divine Feminine, and the publisher of Health & Happiness U.P. Magazine. Her focus is on self-actualization—continuing to unfold her own, and inspiring and supporting that of others. Tyler: Welcome, Roslyn. I have to admit I was blown away by your book so I’m sure my readers will be interested in what you have to say. To begin, will you tell us just who was “the Third Mary”? Roslyn: “The Third Mary” is the mother of Mary Magdalene, a spiritual teacher from biblical times who continues to remain available to support humanity. Tyler: How did you come across the information for her? 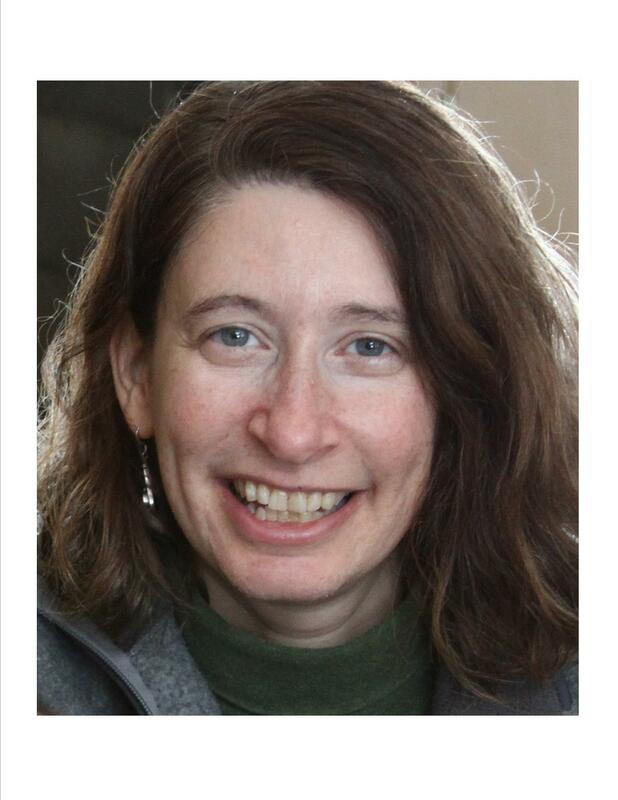 Roslyn: From the time I read I Remember Union, a retelling of Mary Magdalene’s role as an integral partner in the fulfillment of Jesus’s mission, I felt a very strong, deep connection with her mother, although very little is actually written about her in the book. The connection felt overwhelming to me, so I didn’t explore it. Eventually, a friend in whom I confided this strongly suggested I dialogue with her spirit. Although I had great resistance to the idea, as soon as I heard it I also began to hear Mary Magdalene’s mother speak to me internally. About a week later, I committed to writing down the messages she wished to share, and did so nearly every day for a little over two months, until the 55 messages were complete. Tyler: Why do you think you were the one able to channel this information? Why you and not someone else? Roslyn: I’m sure others will in time, or perhaps someone unknown to me already has. I feel such a deep resonance with her, and channeling comes quite naturally to me. I have the gift of having received very little formal religious training, so I have no installed belief system working against my ability to neutrally receive these messages. And the Third Mary tells me we agreed long ago that I would do this as part of my life’s work. Tyler: Of course, many people will be skeptical from the start about someone who channels a message from someone long dead. How would you answer those critics? Roslyn: Again, for me channeling is simple and natural, but I realize there are others who see it differently. Ultimately, there is no death, as energy can take different forms, but its essence is eternal. So potentially, all of us can connect with anything from any time. I understand that from the human perspective, it may not appear this way. What really matters to me is whether the messages have value, are helpful to, connect with the readers, more than whether all readers agree with where they came from. And of course, I’d prefer that people understand I share these words from integrity with who I am. Although I’m honored to be able to share this information, my life would actually be simpler without writing and publishing this book. Tyler: Well said, Roslyn, and having known you for many years, I can vouch for your integrity. Naysayers aside, I think most readers will be interested in the book because of how it depicts Mary Magdalene and Jesus’ relationship. That said, so many theories exist that they were married, a theory especially popularized in The Da Vinci Code in recent years, but a theory that goes back into antiquity. Therefore, some readers might suspect you have simply adapted such theories and made them your own, so tell us why you think the information about their relationship in this book is important and how it differs from standard views of Mary Magdalene and Jesus, or even these more “unorthodox theories” of their being married? Roslyn: I think it’s coded into all of us who are influenced by Judeo-Christian religions, and maybe even those who aren’t as well, to care about the nature of this relationship, to be deeply affected by it. Maybe this is because Mary Magdalene and Jesus took on such larger-than-life roles. I don’t know; it’s just my personal theory. Be that as it may, I made a point of not reading or listening to anything on this topic, to lessen the potential for conflict between ideas in my mind and what I heard from Mary Magdalene’s mother. Though certainly I had already heard some of the basic concepts you mention, I did my best at each moment to take down this dictation as clearly as I could, word by word, and was often surprised by the direction the Third Mary would take, or particular words she would use that I hadn’t anticipated. She describes Jesus and Mary Magdalene as having a spiritual marriage, rather than a traditional one, though formal vows were taken with those closest to them present. Information about biblical, as well as present and future times, unfolds gradually throughout the book quite deliberately, so I think it’s important that readers discover for themselves the specifics of what she means by this. Tyler: What about the Third Mary delighted you, by which I mean what about her personality do you think is unique and special, or the words she chooses to use? Roslyn: Wow, I guess I would say it’s the fact that she’s so clear and specific, so grounded and to-the-point, yet so loving at the same time. How much she cares about each one of us is huge, and in channeling her, I get to feel that, as well as the depth of her love, appreciation and admiration for Mary Magdalene, Jesus, and Mother Mary. And there’s a certain kind of rhythm and way of using words that she has; I don’t know how to describe it, but it has particular way about it. Tyler: I’m trying to remember now whether Joseph of Arimathea was mentioned in the book. I believe he was at least briefly. As a scholar and lover of Arthurian legend, I know Joseph of Arimathea plays a key role in the legends. He is often claimed to be Jesus’ uncle, to have brought Jesus to England during the lost years of his childhood, perhaps so he could study or teach the druids, and later, Joseph returned, bringing the Holy Grail to England with him. I don’t think you in any way referred to these legends, but can you tell us anything more about Joseph of Arimathea and what the Third Mary said of him? Roslyn: I also sense Joseph of Arimathea played a key role in biblical times, and I look forward to learning more about it myself. The Third Mary mentions him as one of the five who witnessed Jesus and Mary Magdalene’s wedding, so he must have been very close to them. Tyler: The other aspect of the book that fascinated me was what the Third Mary said about Judas. Judas has had his own legends grow up around him, especially legends that influence Gothic literature. Despite the biblical account that he hung himself, he is sometimes surmised to be the Wandering Jew, cursed to wander the earth until Jesus’ Second Coming. More recently in the film Dracula 2000, it was suggested that Judas actually became Dracula. Yet you offer a very surprising and far less negative view of Judas in your book and one that I think really makes eminent sense to me. Will you tell us a little of what the Third Mary says about Judas and what his role really was in Christ’s story? Roslyn: The Third Mary says when great spiritual energies/teachers looked for a relatively gentle way to help humanity evolve, the first being to speak up and choose a very challenging role in this process was the one who would become Judas. The Third Mary describes some rather unusual forms this took, as well as a particular perspective on the better known parts of his story. I will say that she had a very high regard for him. I believe in time there are those who’ll come forward to share more specifics about his experience, and I look forward to this. He was a very strong and courageous soul. Tyler: I was really blown away by what you say about him in the book and I appreciate you not giving it all away. I would really encourage any reader interested in Judas to read the book because of how surprising it is, but what for you was the most surprising information for you that you received in channeling this book? Roslyn: I would say it’sthe lineage of Mary Magdalene’s children, which is revealed toward the end of the book. Tyler: Ultimately, what do you feel is the reason why the Third Mary wanted to share this message and what do you hope readers will come away with from it? Roslyn: More than anything, the Third Mary wants people to knowthat despite appearances to the contrary,timesare changing for the better, that much is going on beyond our conscious knowing to assist with this, and that each one of us has an important role to play in this shift. And that we are each so very, very loved, honored and cherished. I hope readers will come away feeling more connected with their own truth and essence, and more capable of living in a way that honors and fulfills their souls. Tyler: At the end of the book, I was left with the impression that you would receive future messages from The Third Mary. Have you, and will there be a follow-up book? Roslyn: You’re the third person within a week who’s mentioned the idea to me, so perhaps it’s a sign! I do continue to communicate with the Third Mary, in making decisions about the book, and in group and individual channeled guidance sessions. And I’ll be sharing brief messages from her on my new website, www.TheThirdMary.com. So it’s possible there will be another book of her messages down the road, but I have no plans for this as yet. And I do have a few other books I’d like to publish. Tyler: I understand you’ve recently written another book. Will you briefly tell us about it? 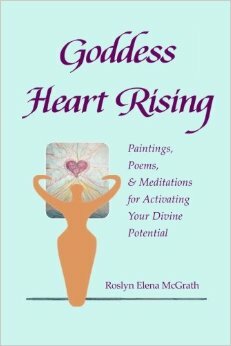 Roslyn: Yes, it’s called Goddess Heart Rising: Paintings, Poems & Meditations for Activating Your Divine Potential. It shares fifteen of my Goddess paintings, along with brief messages, poems, guided meditations, my personal commentary, and questions for reflection. It comes out of a ten-year process of art-making, workshops and private sessions. And it includes the full image of the Third Mary’s color portrait, a detail of which is on the cover of The Third Mary. Tyler: I know you describe yourself as an intuitive and you help others. Can you explain a little about the types of coaching services you offer? And can you help others learn to channel if they so desire? Roslyn: I’ve learned a number of ways to help people deeply relax, see things from a new, more constructive and clear perspective, and express their natural gifts more fully. Some of these take the form of intuitive counseling, energetic healing, channeled readings and life purpose drawings. Although so far I don’t teach people specifically how to channel, I can help people get to the place where they can better recognize and use their natural guidance system, which may include channeling. In some cases, I’ve been able to assist clients to channel their own Higher Selves, which is very empowering for them! Tyler: Thank you again for the opportunity to interview you today, Roslyn. Before we go, will you tell our readers where they can go to find more information about The Third Mary or to purchase a copy? Roslyn: Yes, there’s more information at www.TheThirdMary.com. You can purchase a copy through there or starting May 23rd, on Amazon.com. Tyler: Thank you again, Roslyn. I wish you much success with The Third Mary. Roslyn: Thanks so much, Tyler! I really appreciate the opportunity to discuss the book with you and your readers.